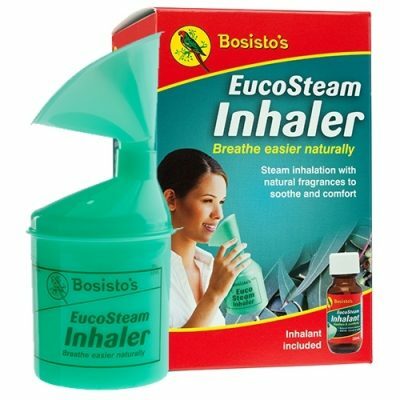 Bosistos Personal Steam Inhaler – Just Add HOT Water! Nothing beats the inhalation of steam for soothing the tired voice! Every singer should have a personal steam inhaler in their kit-bag! What does a Personal Steam Inhaler do? Easy-to-use, convenient alternative to traditional steam inhalation with a bowl or basin. Inhaling warm steam helps ease nasal stuffiness and keeps airways clear. 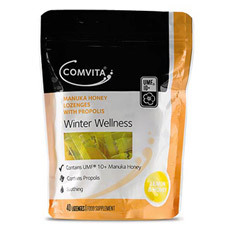 It also reduces a cough while the warmth and moisture soothes a sore, dry irritated throat. No mess, ergonomic container helps avoid spills. Easy to take wherever you go – office, sports game, public speaking or travel. Remove mouthpiece. Pour hot water into base of personal steam inhaler to fill level. Do not use boiling water. Use a protective cloth while holding and pouring hot water in, as base may become hot. 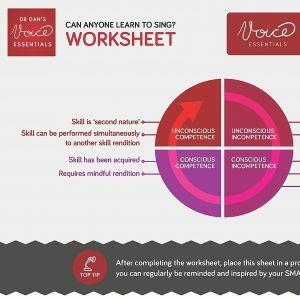 Add around 1ml (1/4 teaspoon) of inhalant, if using (NB: Singers should not use the inhalent when using the personal steam inhaler for voice rehabilitation). Replace mouthpiece. Carry inhaler by base only, not by the mouthpiece. Rest inhaler on table or flat surface. Breathe in vapours through the mouthpiece. After using, empty out water and inhalant, rinse with clean water and dry thoroughly before storing. Bosisto’s EucoSteam Personal Steam Inhaler is Australian designed and made. Constructed of high quality polypropylene, it is tough enough to hold hot steaming water without cracking or breaking down. It’s also dishwasher safe. Always read the label, use only as directed. If symptoms persist see your doctor. Not suitable for children under 2 years. Inhalant cautions: Use only as directed. Keep out of reach of children. For use in steam therapy only. Not to be taken. Contains a bitterant to deter ingestion. If swallowed seek medical assistance immediately. Arrived just a few days ago , I’ve been using this as advised- water only, nothing else added!- and it has been wonderful. Really relieved my recent congestion and very soothing. Simple to use too, always a plus.